An iron gate adorns the private courtyard leading you to the entrance of this splendid villa residence surrounded by lush preserves on three sides. Tranquility abounds as you step into the grand foyer featuring soaring 20 foot ceilings, regal columns and arched passageways. 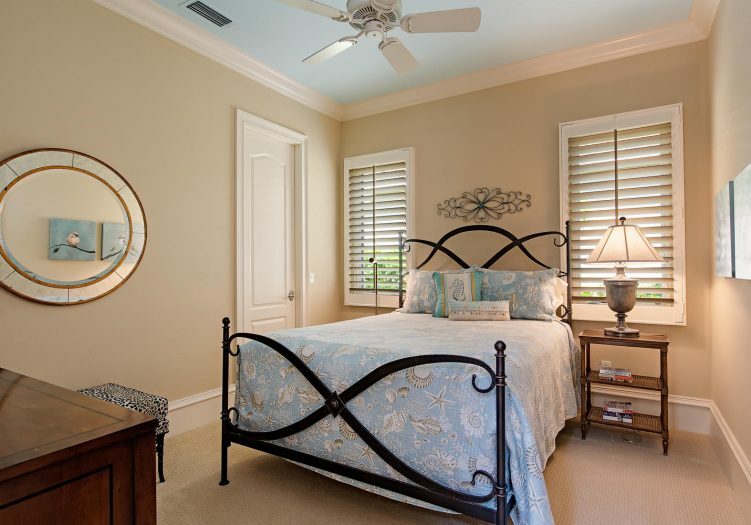 This home features stunning designer touches and custom appointments throughout, including wide crown moldings, plantation shutters, custom draperies and wall coverings, and rich wood flooring flowing throughout the main living areas. The grand foyer entry leads to the elegant formal living room and spacious formal dining room with adjacent built in bar storage. 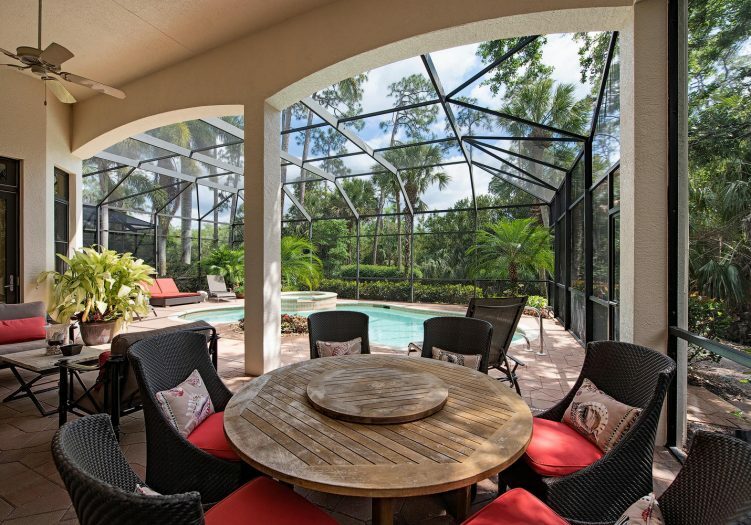 Expansive sliders allow the outside to flow in, with rich preserve views flooding the open great room and gourmet kitchen, with electric blinds for added privacy. Built-in stainless steel appliances, five burner gas stove, warm granite countertops, and mosaic tile backsplash highlight the gourmet kitchen opening to the casual breakfast area. 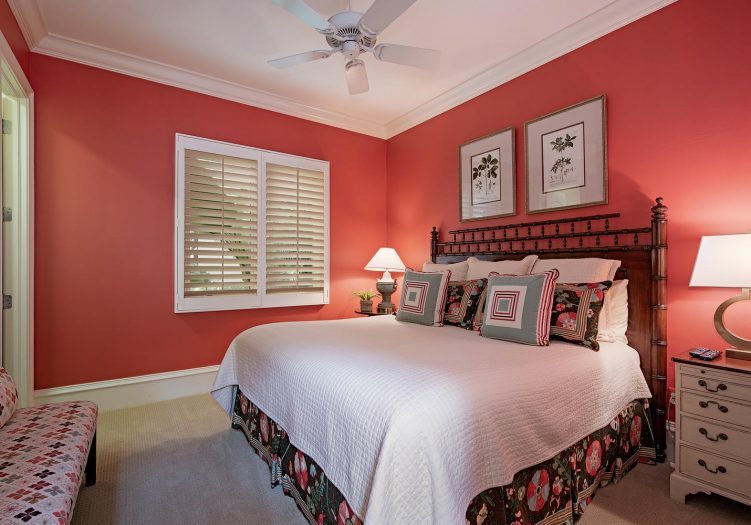 The master suite is a spacious, relaxing retreat featuring a seating area, his and her closets, and direct access to the screened lanai. His and hers vanities topped with granite countertops, a large soaking tub and walk in shower are found in the master bathroom. 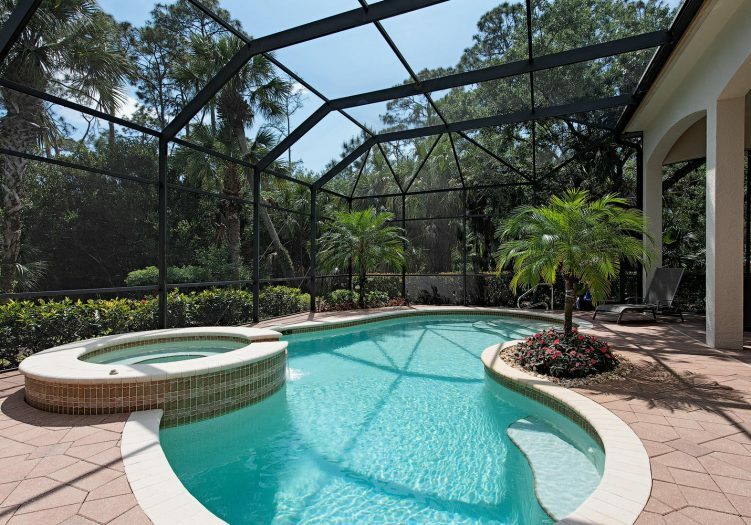 Entertain friends and family while soaking up the warm Florida sun on the screened lanai, while enjoying the sparkling pool and spillover spa. 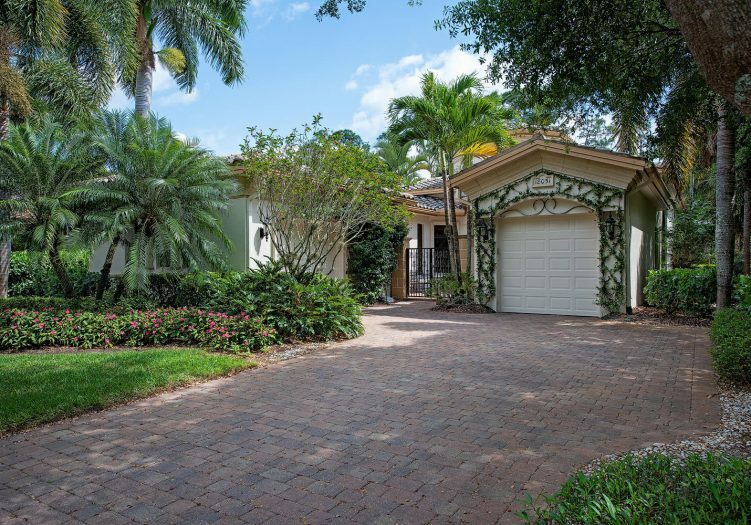 This incredible villa boasts all the luxurious amenities you desire for living and enjoying the golf course lifestyle in paradise.